You've already guessed I’m a fan of Summer cook books – when you have plenty of garden and farmer’s market choices, you’re always looking for good ideas to use it up. 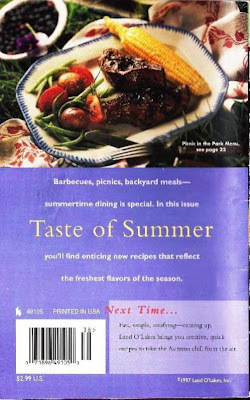 Land O Lakes Taste of Summer is a recipe collection paperback was published in 1997, and I picked it up at a book sale. 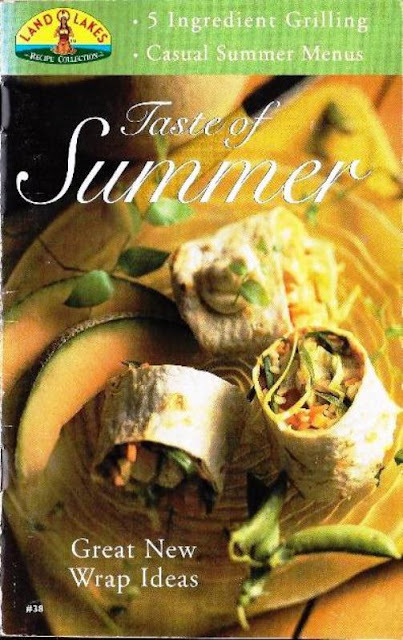 It’s got 5 ingredient grilling recipes, sandwiches, salads and salsas and chutneys. There were lots of recipes my husband and I liked; it was just a matter of matching up what we had on hand with the recipes in the book. We think you’ll like them too.